Appearing Tuesday on CNN, presidential hopeful Pete Buttigieg reiterated that he believes Vice President Mike Pence is okay with discrimination against the LGBT community. 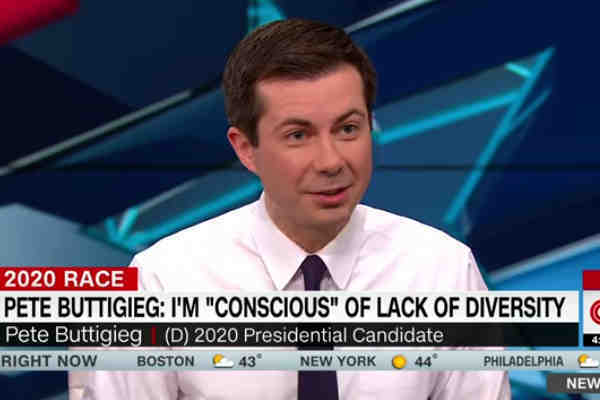 Speaking with CNN's Poppy Harlow and John Avlon, Buttigieg, the 37-year-old openly gay mayor of South Bend, Indiana, was asked about his criticism of Pence, the former governor of Indiana. In a separate interview with CNN, Pence, a Christian conservative opposed to LGBT rights, including marriage equality, said that Buttigieg's quarrel was with the First Amendment. “Maybe he will evolve to eventually believing that it shouldn't be lawful to discriminate against people for being gay. And if he makes that development, I would welcome that and I would praise that,” Buttigieg added. Buttigieg also said that he's looking forward to raising children with his husband Chasten.